The first Mayoress of Dublin and founding member of Cumann na mBan was Limerick born Kathleen Clarke (nee Daly), she passed away on this day 40 years ago (29 Sept. 1972) aged 94. She was the widow of Thomas S Clarke, executed in Dublin, 3 May 1916. Between 1774-1794 in Limerick House of Industry there were 58 Harlots, 9 Whores and 1 Strumpet. In 1957 Limerick had an umbrella factory on Catherine Street. C. Holland. The Good Shepherd Laundry (Pennywell side) is built on the Farrancroghy Execution site, where public hangings took place. The United London Gas Company were contacted to light the city in 1824. 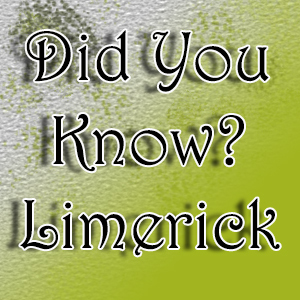 Public lighting was not new to Limerick the first street lamps were erected in 1696. St. John’s Hospital began as a three bed ward in the old St. John’s Barracks at the personal expense of Lady Lucy Hartstonge in 1781. 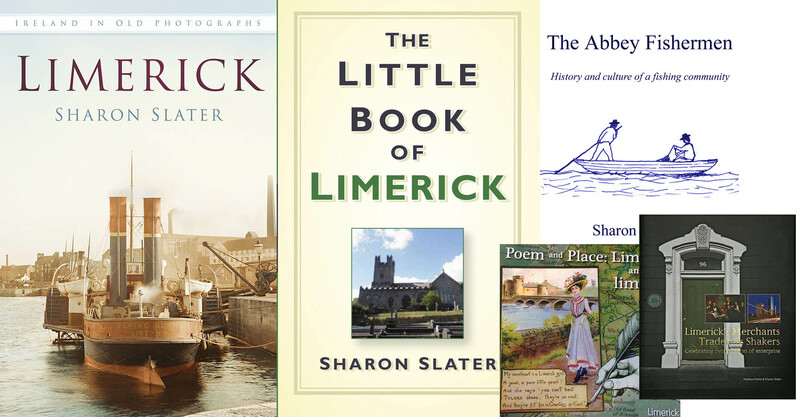 Charlotte Bronte stopped in Limerick on her way to Kilkee for her honeymoon. Thomas Blake (1894-1921), member of the Irish Volunteers, who was shot and killed on St. Alphonsus Street worked in Laird’s Pharmacy, O’Connell Street, where his knowledge of chemistry would help him in the manufacture of munitions and explosives used during the War of Independence. The novelist Jane Austin had a brief romance with Limerick man Tom Lefroy. In a letter to her sister she states “I am almost afraid to tell you how my Irish friend and I behaved”.